The inspiration for designing this project was to create a place of belonging for the local people of the Amazon River in Iquitos, Peru. 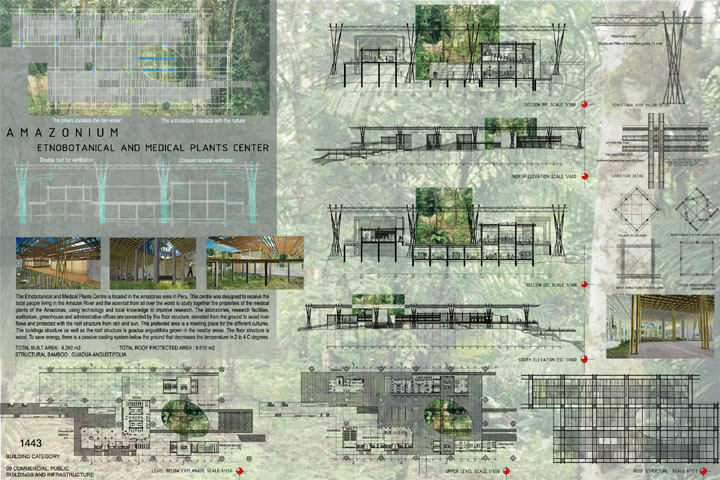 The concept is to create a gathering place to share ethnobotanical knowledge, raised off the river-flooded ground and protected from the sun and the rain. The structural pillars are made of cement and the flooring is wood, but all the wall and ceiling structures are made of bamboo poles.